Our Scotsman Award Winning Mortgage Broker has represented thousands of clients in the last 15 years and placed #1 in the entire State of Hawaii for VA Refinances in 2016 and #58 in the entire Nation for VA Mortgage Fundings out of hundreds of thousands of Loan Originators. Paradise Home Mortgage LLC is Accredited and A-Rated with the Better Business Bureau and licensed in Hawaii and California. At Paradise Home Mortgage LLC we help you take full advantage of multiple lenders competing for your business to negotiate the lowest rate at the lowest cost which can save you tens of thousands of dollars in interest and fees! Due to the fact that we represent a large number of clients, we are able to offer wholesale pricing that is often not available to directly to consumers with the lowest interest rates with ultra-low closing fees that would be next to impossible to attain on your own. 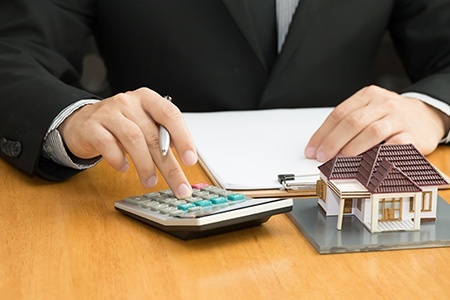 We will also help you navigate the mortgage lending maze by simplifying the process while providing you with the right option that fits your unique situation. We promise we will not waste your time! At Paradise Home Mortgage, we listen to your specific needs so we can customize a mortgage solution for you. We have a reliable processing staff that will assist you throughout every step of the way through the mortgage process. You can expect excellent customer service and quick turnaround times for your financing needs. By streamlining the entire application and offering the lowest rates possible we can help you save time and money. Look no further when you need dependable mortgage services in Hawaii, and California. Our team at Paradise Home Mortgage will ensure that you have a hassle-free experience while exploring your mortgage options. For more information or inquiries, don’t hesitate to get in touch with us.